Hey All and Happy Thursday! Did you know Tuesday was National Pancake Day? Well we did, and we took advantage of the day by having breakfast for dinner! It's seriously one of Hub's favorite things...like ever. He could be having the worst day at work but then get a text from me asking if he wants bacon or sausage for dinner and he immediately forgets all about whatever is going on. Sorry about the crummy night time pic. Just know they were chocolate chip and they were amazing and would've photographed beautifully in the daytime :) So along with the pancakes I made some bacon and eggs. 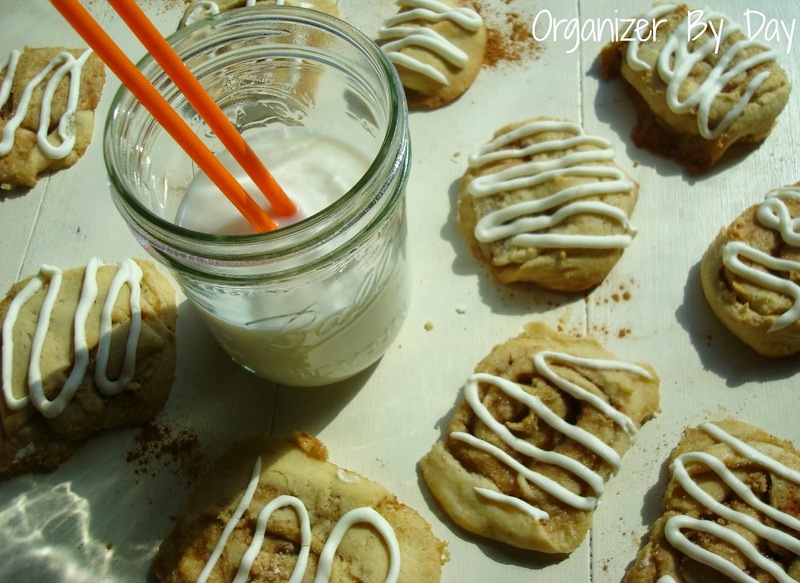 And for dessert I knew instantly what I wanted to make...Cinnamon Roll Cookies! These things are freaking awesome. I laugh out loud when I think about how good they are because they make me that happy. 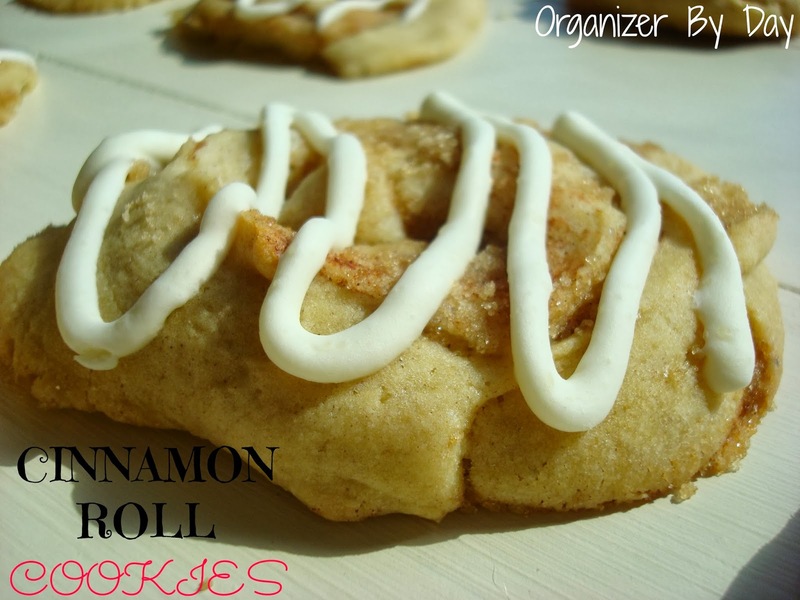 Its recipes like this that make me glad I'm a Zumba instructor and therefore can eat a ton of these! The worst part about this recipe is the waiting! They spend about two hours in the fridge before they're ready to bake, and another half hour after they're iced. But they are so worth it. I mean these are the epitome of the phrase "Worth the wait"! Super chewy and cinnamony (word?) on the inside, light and crunchy on the outside, and topped with sweet creamy icing. These cookies are awesome! I know, I know. 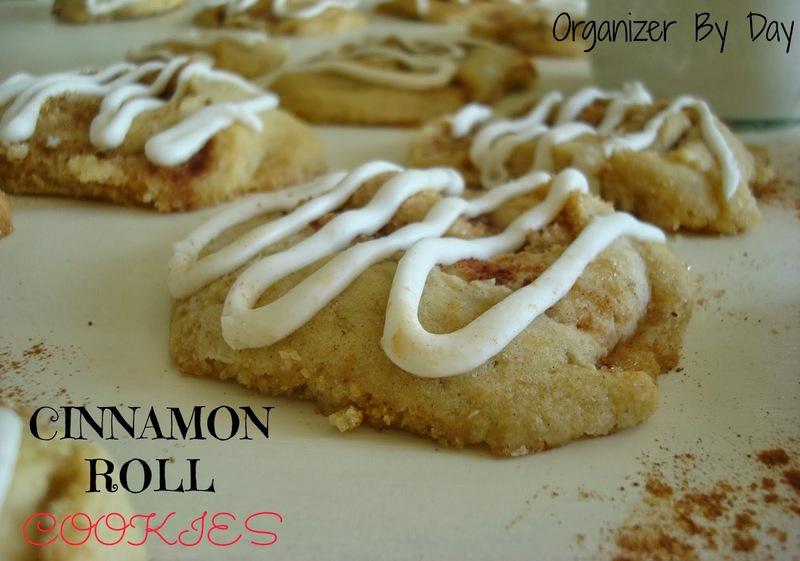 You're thinking these all don't look exactly like a perfect teeny tiny cinnamon roll cookie. Well I'm here to tell you nothing in life is perfect and as long as what I'm eating tastes awesome, I'm good to go. 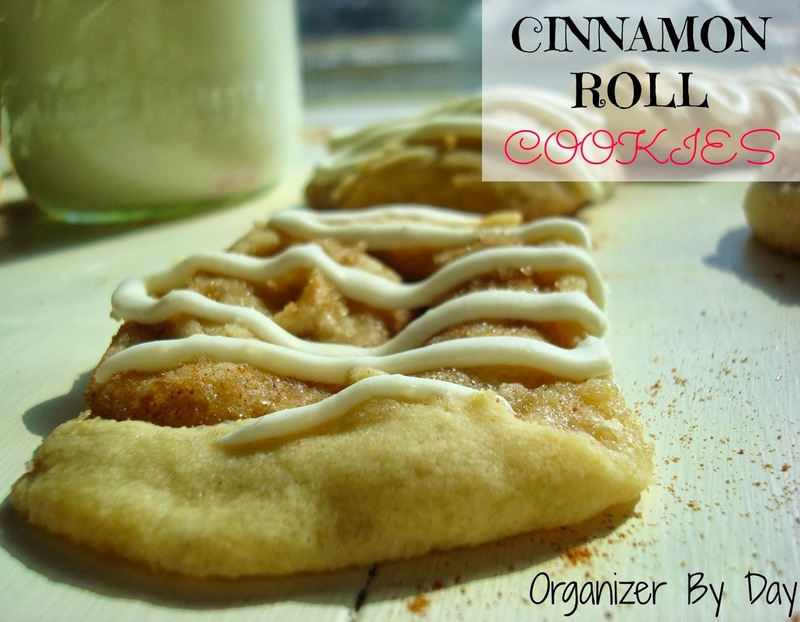 I think next time I need to roll up the dough tighter, so remember that when you try these out and they may look more like an itty bitty cinnamon roll than mine. Trust me though when I say these taste fantastic! Whisk together the sugar and butter in your mixer until soft. Add in the egg and stir until fully incorporated, followed by the vanilla and sour cream. Combine the flour, baking powder, baking soda, salt and cinnamon in a medium bowl. Stir together with a fork then slowly add it to the dough. Once everything is mixed together, wrap the dough in plastic wrap and flatten into a circle. Place in the fridge to chill for at least two hours. Remove and flour your work surface really well. Preheat the oven to 350 degrees and line your baking sheet with a silpat or grease with cooking spray. Divide the dough into two equal parts. 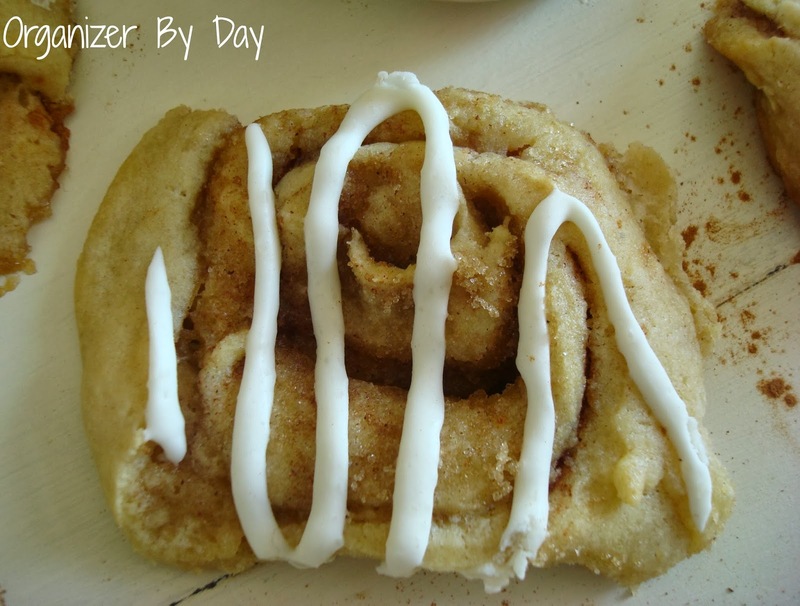 Roll each half out into a circle about an 1/8 inch in thickness and coat each circle with two tablespoons of butter. 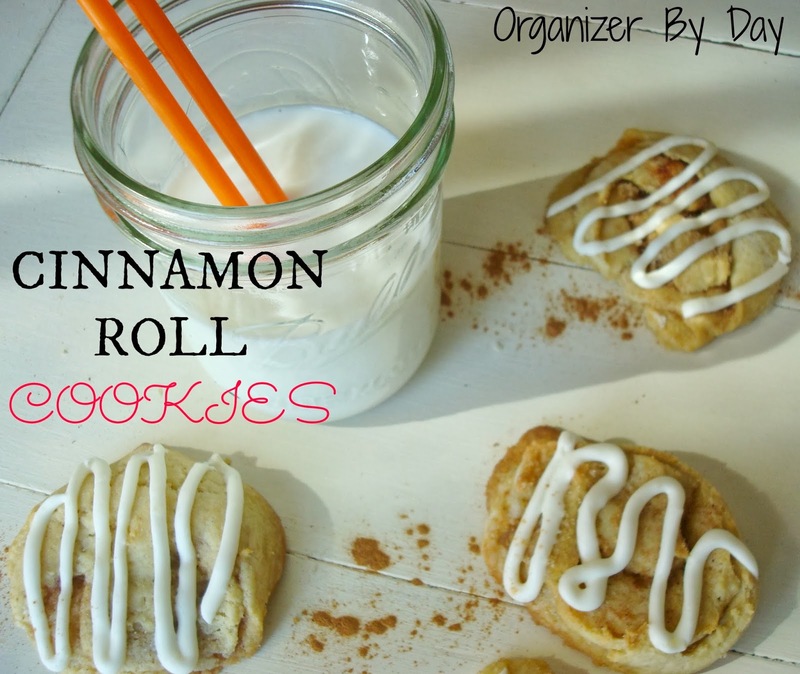 Sprinkle on 1/4 cup of brown sugar and 1/2 a tablespoon of cinnamon over each circle and roll up into a log. Slice into thin cookies using a sharp knife and place on the baking sheet. Cook for about 10-15 minutes or until fluffy and slightly golden brown. Remove and allow to cool on baking sheet. Whip the cream cheese in your mixer until smooth. Add in the powdered sugar and milk and mix together. Add more milk for thinner icing. 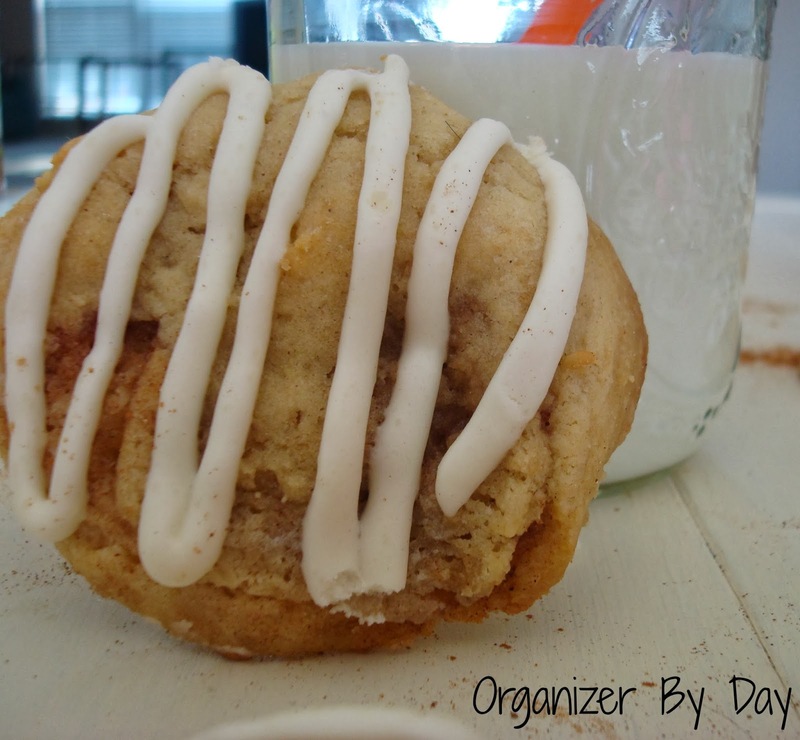 Top cooled cookies with icing and return to the fridge for about 30-60 minutes. Remove and enjoy! So did you and your family take advantage of National Pancake Day? Do you love breakfast for dinner, too? Oh my gosh, those cookies look amazing! Yum! Those look so good! 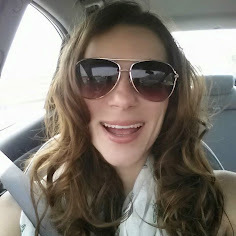 Thanks for stopping by and linking up! I assume this calls for a 350 degree oven. Am I right? Thanks for the recipe. these look delicious!! thanks for the recipe! These look inviting and delicious. Thanks so much for sharing with us at Weekend Potluck. 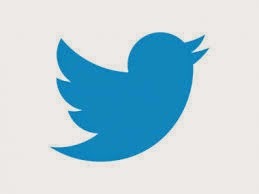 Appreciate the link back too. Hope to have you join us at next week's party. Your cookies look wonderful! Thanks for the recipe. I can't wait to make them! 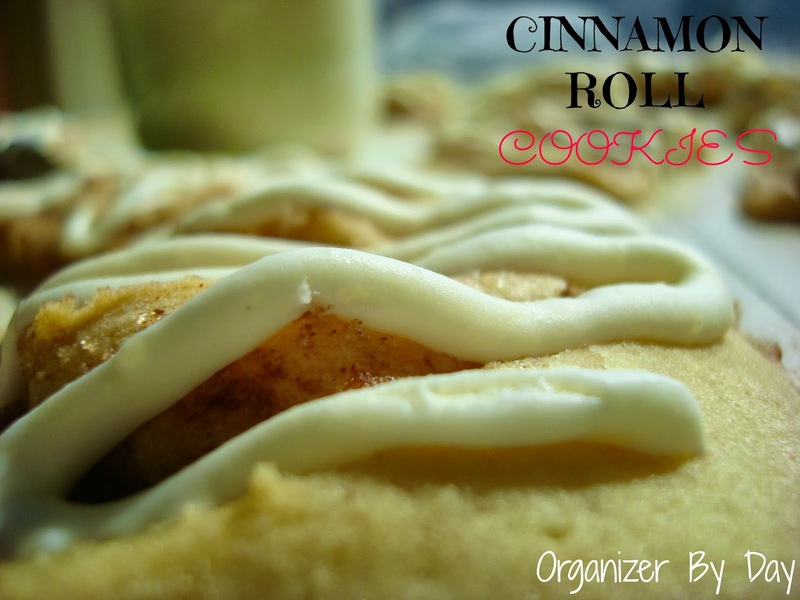 We love cinnamon rolls, can't wait to give these a try...looks so yummy! These look so awesome! I'd love for you to come share at Simple Supper Tuesday. What a great side cookie. Looks delicious!! Thanks for linking up to BOTW party. YUM!!!! Can't wait to try these! 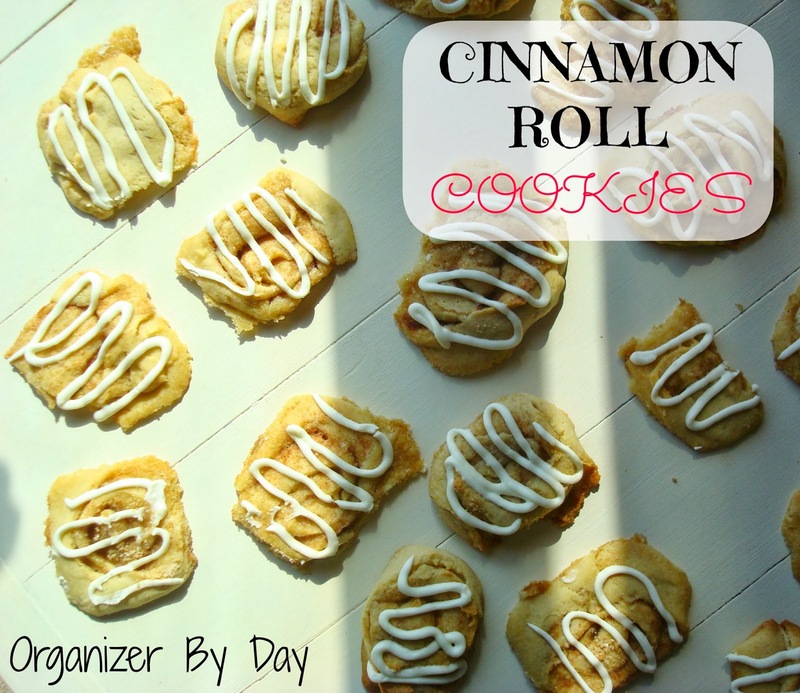 Cinnamon Roll Cookies, oh my major YUM! Happy St. Patrick's Day to Ya and thanks so much for sharing your awesome post with Full Plate Thursday! Thanks so much for sharing these at Tell Me About It Tuesday! Book marking so I can come back to this one. It looks AMAZING! Thanks for sharing with us and for linking up at Tell it To Me Tuesday! My husband will love these! Thank you for sharing the recipe at the HomeAcre Hop. I hope you'll join us again on Thursday.